It’s important to keep your Chihuahua on a nutritional, healthy diet. The following are some great tips and information on how to achieve this. The Chihuahua is only a little dog with very fine bones. Due to this, if Chihuahua’s put on any extra weight it can cause harm to their small frames. Therefore, it’s very important that your Chihuahua is only fed healthy and nutritional food so that they do not become obese. Your Chihuahua will be fed a certain amount every day based on their size and age. If you are unsure of what amounts you should be feeding your beloved Chihuahua then talk to your local vet. They are experts and should be able to offer you advise based on your Chihuahua’s measurements. Once you have worked out how much you should be feeding your Chihuahua as part of their diet, it’s time to decide on whether to feed them dry or wet food. Dry food is the best option out of the two, as it will help in the upkeep of your Chihuahua’s teeth. 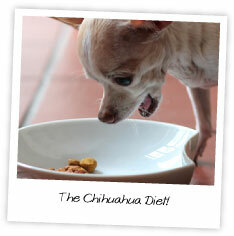 One important aspect of the Chihuahua diet, is not feeding them food that could cause them harm. There are quite a few foods you should never feed your Chihuahua including junk food, raisins, grapes, candy and chocolate to name a few. Make sure you never leave any of these types of foods out in a place that your Chihuahua could get to. Part of the Chihuahua diet is feeding your pet high quality, nutritional food. This means buying dog food from a brand that is highly regarded. Another great tip is to view the ingredients on the back of the packet to check it has all the important things your Chihuahua needs in their diet. The main ingredient listed should be some sort of meat. If it is something other than meat such as wheat then you should look at a different brand. Part of the Chihuahua diet is making sure your Chihuahua always has enough water. If your Chihuahua becomes dehydrated it can lead to serious health issues. So make sure your Chihuahua’s water bowl is always nice and full. Along with a healthy and nutritional Chihuahua diet, it’s also important to exercise your Chihuahua daily. This could mean going for a walk or playing games together. As a bonus, exercising your Chihuahua is a great way to bond with them. A lot of people like to give their Chihuahua a little treat now and then. 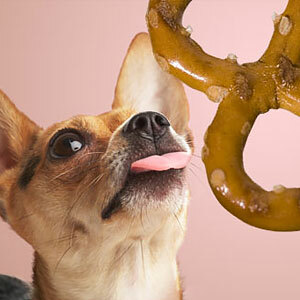 Treats are also often used as a way to encourage Chihuahuas during the training process. However, these little treats add up and can lead to your Chihuahua becoming obese. So, ideally treats should not form part of the Chihuahua diet. Instead use cuddles and praise as a reward over treats. From the above you can see that a healthy and nutritional Chihuahua diet means a long and happy life for your beloved pet. So make the right choices and start feeding your Chihuahua the right diet today!